Roderick Galdes, who two weeks ago resigned as mayor of Qormi, will be filling the parliamentary seat vacated by John Attard Montalto, who is continuing his political career as a member of the European Parliament. Mr Galdes, 29, is an employee of the Malta Environment and Planning Authority. 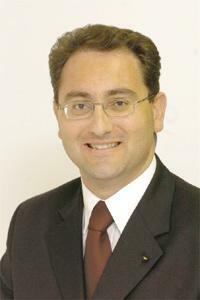 He was the only contestant for the sixth district seat vacated by Dr Attard Montalto. The quota was 1,732 and Mr Galdes obtained 3,406 votes. He said that being the only candidate he had expected to be elected. That was in fact why he resigned his post as mayor. Now that he is a member of parliament, his aims are to remain close to the people, to continue serving his constituents and to see the Labour Party winning the next election.